Do you have someone that is tough to buy things for at Christmas? Want to put a little ho-ho-ho into that special person’s stocking? Or do you know someone who is a race fan and would enjoy something cool under the tree? 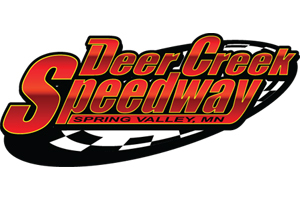 The Deer Creek Speedway has the perfect solution for you. How about some tickets to the races for 2019? 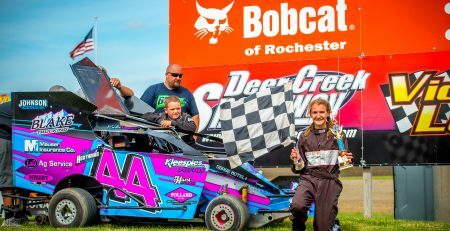 The Deer Creek Speedway is known for their great weekly racing program and brings in some top notch special events and touring series throughout the spring and summer. You will make that person grin and jump for joy when they find out you got them tickets to Deer Creek. Here is a look at the 2019 schedule so far and tickets go on sale Monday, December 3 at 9:00am. Tickets can be purchased online by clicking here or by calling 1-877-DCS-Race. (507-754-6107) Gift certificates are also available along with the popular pit pass punch cards. They make great stocking stuffers! We are also happy to continue a Deer Creek tradition of allowing kids 12 & under in for FREE to all weekly point race events. Also, as a friendly reminder, don’t forget that sections A & B in the main grandstands are non-smoking. Hanson Tire Summer Sizzler – TONIGHT AT 6:30! AgStar Fianacial Services FireCracker – THIS WEEKEND!